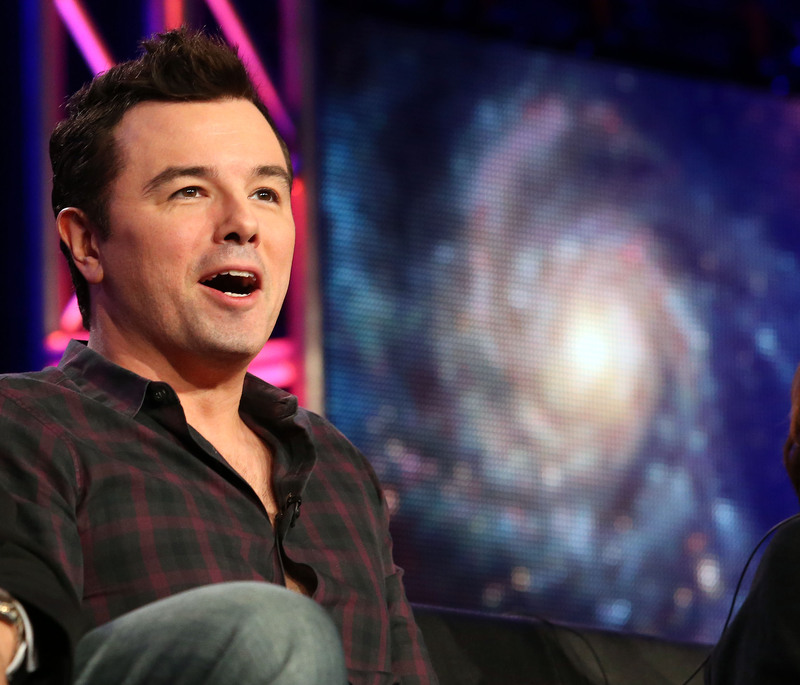 So, here's how intelligent Seth MacFarlane thinks you all are, viewers of his hit series Family Guy: Seth MacFarlane killed off Brian to teach you a lesson. The magical and not-at-all patronizing lesson of limitless possibilities when it comes to creating and making television. The long-running cartoon showrunner admitted today that the stunt was nothing more than that. So in case you were curious as to how highly MacFarlane thinks of you, there you have it. In addition to boosting ratings (because: money), MacFarlane's reasoning behind the temporary (and therefore pretty much pointless) death of one of the series' most beloved characters was "It did what it was designed to do — it reminded people this is still a show where anything can happen despite the fact it’s been on for awhile." So, are you paying attention, fans of Family Guy? Anything could happen on this show! It's like an Ellie Goulding song come to life. Serious question: do people really need a reminder that a cartoon show is the sort of medium where anything could feasibly happen? Isn't that sort of inherent in the nature of television, movies, and any other medium that involves someone creating a story and set of characters out of their own mind? An irreverent cartoon where no one ages seems like hardly the scenario wherein the audience would need such a reminder but, hey, I guess that's just a testament to how smart MacFarlane believes you all to be. Logic! Following his Television Critics Association press tour panel Monday for his upcoming Fox astronomy documentary Cosmos: A Spacetime Odyssey, MacFarlane proved all the more his inability to understand how or why fans of a series that's been on air since 1999 (save that two year gap it was cancelled) might not take so kindly to being so overtly manipulated by an emotionally shocking but ultimately meaningless death for the sake of ratings. "We were all very surprised, in a good way, that people still cared enough about that character to be that angry. We thought it would create a little bit of a stir, but the rage wasn’t something we counted on." Rage all you want, but I think the real point here is this: nothing really matters [until ratings are involved].